BEIJING (AP) — An eastern Chinese province plans to ban teachers from assigning homework to be completed on cellphone apps as part of efforts to preserve students’ eyesight. Zhejiang province issued a draft regulation last week and is seeking public comment. It is one of several provinces considering such measures. Along with barring app-based homework assignments, the Zhejiang regulation would limit the use of electronic devices to 30 percent of total teaching time and encourage the issuing of paper homework to be completed by hand. Soaring rates of nearsightedness are blamed partly on screen usage. 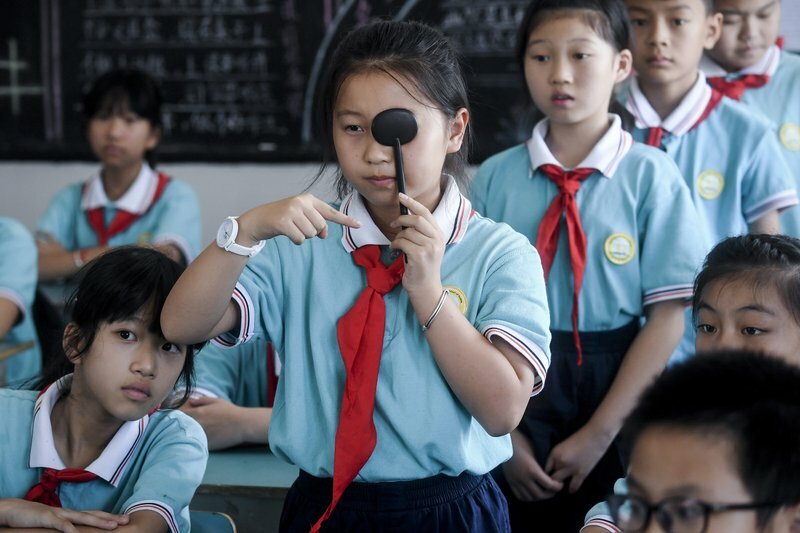 While China’s overall rate of myopia is 31 percent, among high school students it stands at 77 percent and among college students 80 percent. The regulation aims to pull that back to 70 percent among senior high school students, with rates among primary school students targeted at 38 percent and junior high school students at 60 percent. The regulation would bar primary and middle school students from bringing electronic devices into classrooms without permission, restrict amounts of homework assigned and increase the time for breaks, sports and extra-curricular activities. It says no written homework at all should be assigned to 1st and 2nd graders. Still, mobile devices are unlikely to be abandoned entirely as a means of supplementing classwork. Language apps, especially those for learning English pronunciation, are extremely popular with students, many of whom are more likely to own smart phones than home computers. Limiting screen time is of particular concern in Asia, where rates of myopia tend to be higher than in Europe and North America. With a level of myopia estimated at 80 percent, the Southeast Asian city state of Singapore is believed have the highest percentage of nearsighted people.